Product #16454 | SKU ADR44B | 0.0 (no ratings yet) Thanks for your rating! 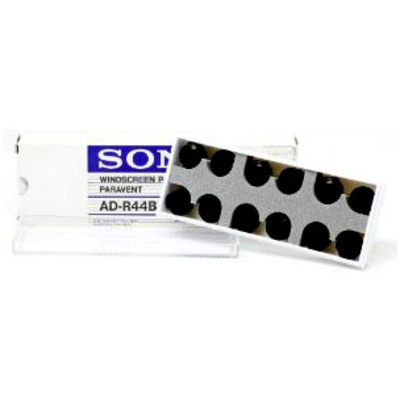 This Sony Windscreen Kit includes 12, replacement urethane windscreens for the Sony ECM44 lavalier microphone. The set includes a storage case that accommodates 6 extra windscreens.